And the whole affair breathes a sensitivity to the music and to Boito's intentions that is rare on the operatic stage with any style of production. Why See Metropolitan Opera - Mefistofele? Perhaps best known as a librettist who penned the lyrics for Verdi's later operas Falstaff and Otello, Arrigo Boito created a single opera based on the legend of Faust and his deal with the devil. Now the melodrama enjoys a revival in the form of Robert Calsen's sublime postmodern staging, with celebrated American bass-baritone Christian Van Horn in the devious titular role, American tenor Michael Fabiano as Faust, and American soprano Angela Meade as Margherita. Seen Metropolitan Opera - Mefistofele? Loved it? Hated it? Sound good to you? 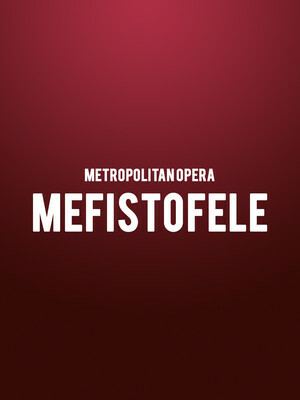 Share this page on social media and let your friends know about Metropolitan Opera - Mefistofele at Metropolitan Opera House. Please note: The term Metropolitan Opera House and/or Metropolitan Opera - Mefistofele as well as all associated graphics, logos, and/or other trademarks, tradenames or copyrights are the property of the Metropolitan Opera House and/or Metropolitan Opera - Mefistofele and are used herein for factual descriptive purposes only. 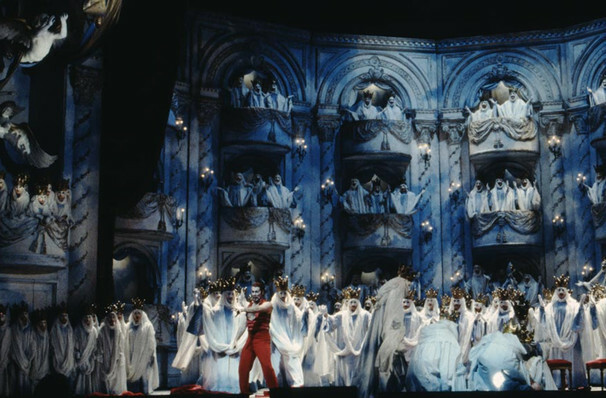 We are in no way associated with or authorized by the Metropolitan Opera House and/or Metropolitan Opera - Mefistofele and neither that entity nor any of its affiliates have licensed or endorsed us to sell tickets, goods and or services in conjunction with their events.